Muammar Gaddafi, the former Libyan strongman who was killed on October 20 2011 as fighters battling the vestiges of his loyalist group forces wrested control of his hometown of Sirte. 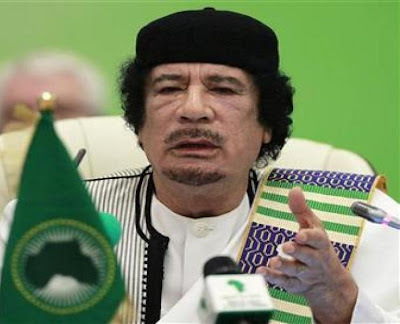 The uprising also killed or captured some of the senior aidas, including possibly two sons of gaddafi, as an armoured convoy braved Nato group airstrikes in a desperate id to break our of Sirte. Now the world hopes that the liberation of Sirte must signal the start of a process to establish a democratic system in which all groups in the country (libya) have their place and where fundamental freedoms are guaranteed. Hillary Clinton's visit to Tripoli libya two days before the killing of muammar Gaddafi was aimed at cementing a partnership with the new government and helping it steer towards democracy. Clinton would encourage the National Transitional Council (NTC) to fulfil pledges to move swiftly towards election for a new borne libya.